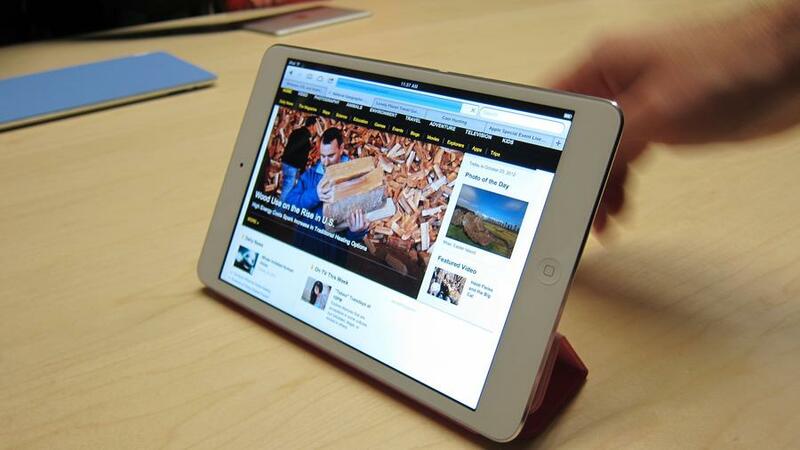 The iPad mini and new iPad 4 will be getting some 4G love in the UK as EE has confirmed it will be offering the new iPads on its next-gen network. The network hasn't yet revealed its pricing for the 4G iPad deals, but says it'll have a "range" of "attractive" data plans. Whether the iPad mini and new iPad 4 plans will be more "attractive" than the mobile 4G deals unveiled earlier this week remains to be seen. Update: EE's 24 month tablet plans have now popped up on its website, with the cheapest offering setting you back £25.99 a month for 2GB of data. There's another two tariffs to choose from, with 3GB of data costing £30.99 per month and 5GB coming in at £35.99. Don't forget there will be an upfront charge for the iPad mini and new iPad 4 (no word on exact cost yet) on top of this, so you may want to call your bank manager and shuffle your finances. There was mass disgruntlement when EE confirmed that its 4G plans would start at £36 per month for only 500MB of downloads a month, with prices only getting more eye-watering from there on out and no unlimited downloads deal. However, there was fear that the new iPads may not be compatible with the UK's particular brand of next-generation network (despite being shown on stage at Apple's press conference); EE's release at least confirms that they will. iPhone 5 release date extended for 2012. “Siri” iPhone 4S plus Sprint Oct 14th. iPhone 5S to launch early 2013? Keyboard Shortcuts in iOS 5. Euros Media. Picture Window theme. Theme images by dem10. Powered by Blogger.